A report published in a well known Liberal daily has unveiled the Labour Party's ambitions for immigration, if we ever get round to leaving the European Union that is and Labour winning an election. 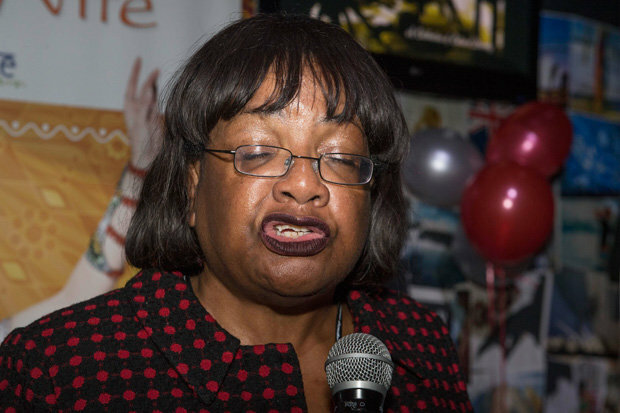 The mastermind behind the report is Shadow Home Secretary Diane Abbott who is well known for her inability to count or cope under pressure. In this report she has stated that if elected Labour will lift the ban on Child Migrants bringing their family members over which could see many hundreds of thousands enter the country and likewise they would end the policy of deporting "Child Migrants" once they reach the age of 18. They are also set to scrap the "unworkable" target of reducing net migration to below 100,000 people a year in favour of continued mass migration. "I remember Enoch Powell’s speech, I think I was in primary school, and I wasn’t following it in huge detail, but I do remember how I felt. People were talking about it even in school and I felt frightened. I didn’t quite know why, I didn’t know exactly what had been said, but I felt frightened." Studies have proven over and over again that mass migration hits the poorest people hardest in working class areas of the UK that have traditionally voted Labour. Abbott is seen to represent the liberal elite of the Labour Party out of touch with the realities of life for the everyday hard working people of the UK.